The inflammatory response is essential for normal cutaneous wound healing. 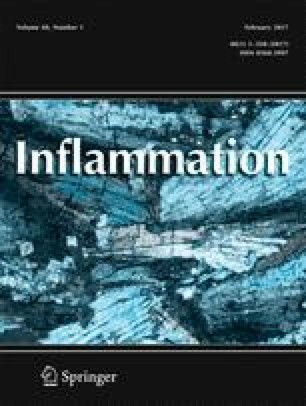 Macrophages, as critical inflammatory cells, coordinate inflammation and angiogenesis phases during wound healing. It has been reported that the transcription factor interferon regulatory factor 8 (IRF8), a member of the IRF family, plays a critical role in the development and function of macrophages and is associated with inflammation. However, the role of IRF8 in cutaneous wound healing and its underlying mechanism remain elusive. Through immunohistochemical (IHC) staining, we showed that IRF8 is involved in the wound repair process in mice and patients. Furthermore, we ascertain that the repression of IRF8 by small interfering RNA (siRNA) leads to delayed wound healing. To explore the mechanism by which IRF8 impacts wound healing, we observed its effect on macrophage-related mediators by IHC or real-time PCR. The results demonstrated that the inhibition of IRF8 decreases the mRNA expression of inflammatory mediators associated with M1 macrophage (il-1b, il-6, inos, and tnf-a) but no impact on M2 macrophage-related mediators (arg-1, mrc-1, and il-10) and the number of macrophages in the wounds. Furthermore, the inhibition of IRF8 induced apoptosis in the wounds. In summary, this study demonstrates that the down-regulation of IRF8 in the wound leads to impaired wound healing possibly through the regulation of macrophage function and apoptosis in skin wound. This work was supported partially by the National Natural Science Foundation of China (Nos. 81272113 and 81201469). This study was approved by the Ethics Committee of the Shanghai Ninth People’s Hospital, Shanghai Jiaotong University School of Medicine (2013-022). Preoperative informed consent was obtained from each patient registered in this study in accordance with the institutional guidelines. Szelag, M., Piaszyk-Borychowska, A., Plens-Galaska, M., Wesoly, J., and Bluyssen, H.A. 2016. Targeted inhibition of STATs and IRFs as a potential treatment strategy in cardiovascular disease. Oncotarget. doi: 10.18632/oncotarget.9195.